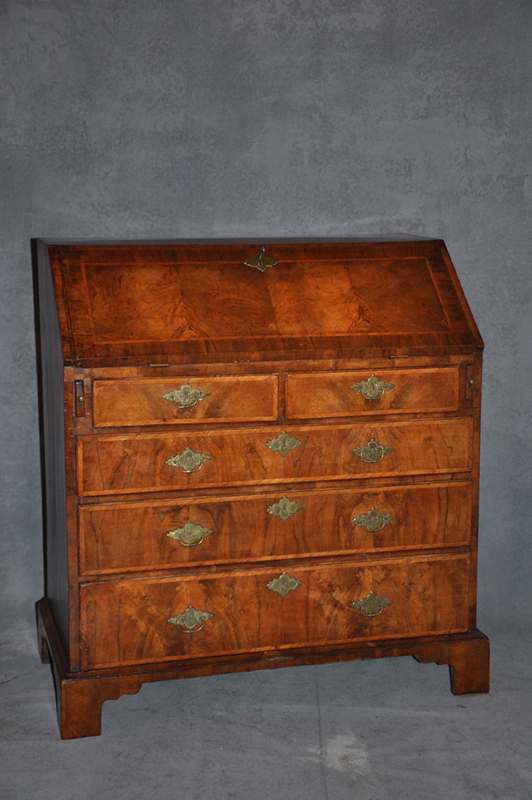 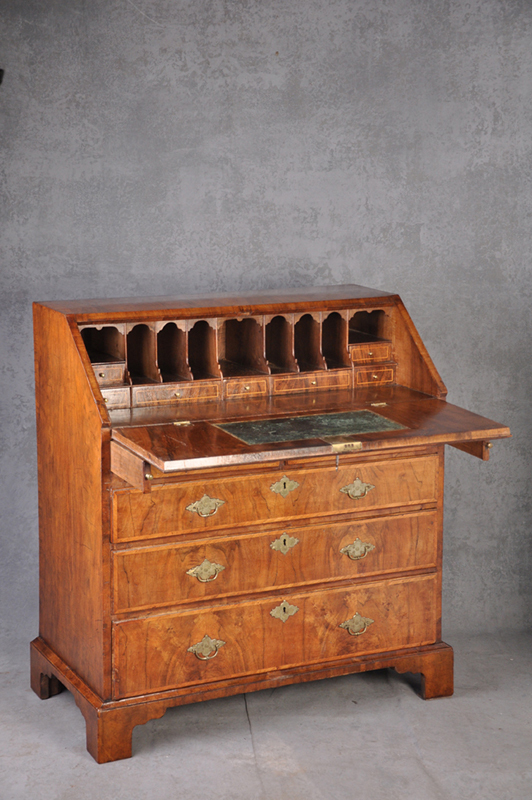 A Fine George 1st Walnut Bureau of wonderful honey colour retaining all original handles and locks. 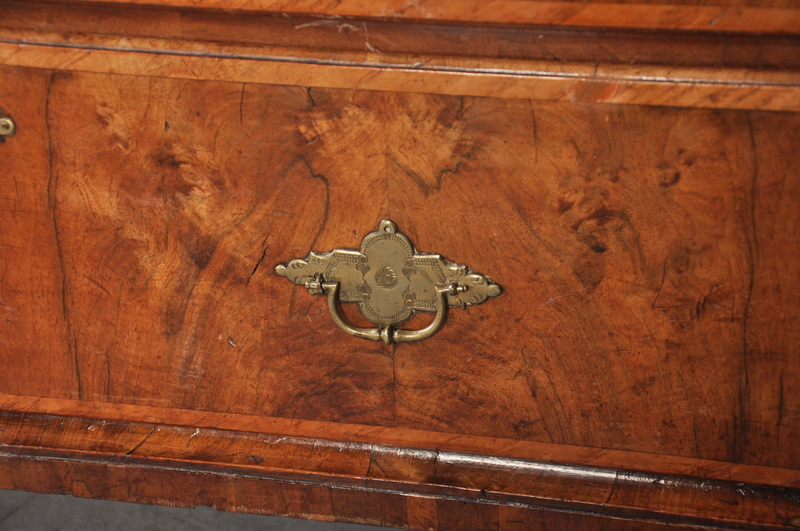 The bureau has figured matched veneers throughout with a contrasting Ash half feather banding. 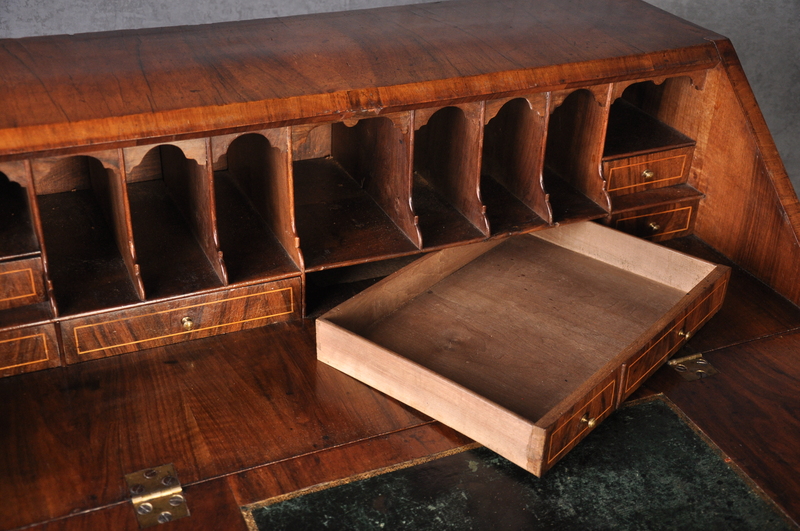 The interior is very nicely shaped with many pigeon holes.